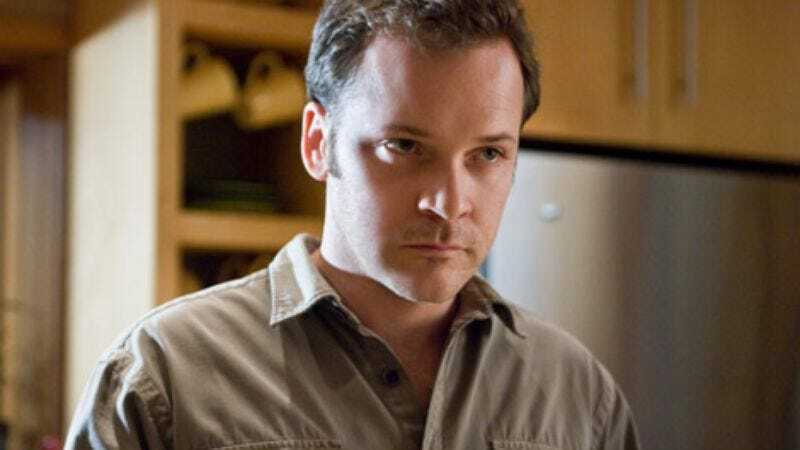 Having already cast Elias Koteas as a means of attracting new, less spiteful interest in its third season, The Killing continues to look to established character actors with the addition of Peter Sarsgaard, hoping that the mystery of “Hey, why is Peter Sarsgaard on this show?” will lure you back in (even if it’s not exactly promising to solve it). For his first recurring TV role, Sarsgaard will play Tom Seward, described by The Hollywood Reporter as “a lifelong convict born into poverty and crime who has been in and out of the system for violent crimes since he was 10. Never wanting to appear weak, every interaction for Tom is a challenge and one he must dominate.” The role should take advantage of Sarsgaard’s innate sense of seething menace, as well as the widespread availability of sweaters he could use to strangle people with, like a big man. Also joining the cast is indie film actress Amy Seimetz, as the “hard-living” mother of the missing teenage girl at the center of the mystery, and Max Fowler as a “streetwise hustler,” as everyone on The Killing is shady and miserable.